Archimedes Notebook: Books about Bugs! 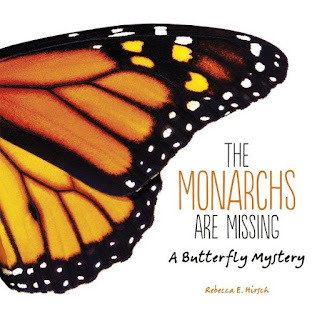 Rebecca Hirsch begins her book with kids in the field, capturing monarchs to tag for the Monarch Watch citizen science project. The monarch butterflies they tag will head south on a journey of nearly 3,000 miles from across the eastern US and Canada to Mexico. How they do that is a mystery. What's not a mystery: that monarchs are in danger. Every hear fewer butterflies reach the forests in Mexico where they spend the winter. Why are the monarchs disappearing? That's what scientists want to know, so Hirsch profiles scientists in the field. We learn how field scientists count butterflies, and how human land use affects monarch populations. Habitat loss, climate change, parasites ... these are just some of the issues that monarchs face. Fortunately, there are things people can do to make the world a better - and safer - place for monarch butterflies, from creating milkweed corridors to planting native flowers in our back yards. 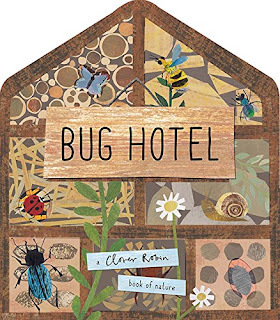 Bug Hotel is a lift-the-flap board book filled with discoveries. Maybe you're thinking bug hotels are made-up - but no, they really do exist. People build structures from natural materials such as straw, plant stems, wood, and stones. They provide places for insects to stay. Some people build hotels for native bees. Some people create hotels for toads. And some folks build fancy condos with rooms for many different critters to move into. As you turn each page, you learn more about the bugs (bees, beetles, butterflies, even snails) and you see what sort of accommodations they appreciate. The back spread provides a list of materials and encourages kids to build their own hotel to help create a sustainable and safe place for backyard bugs to live. 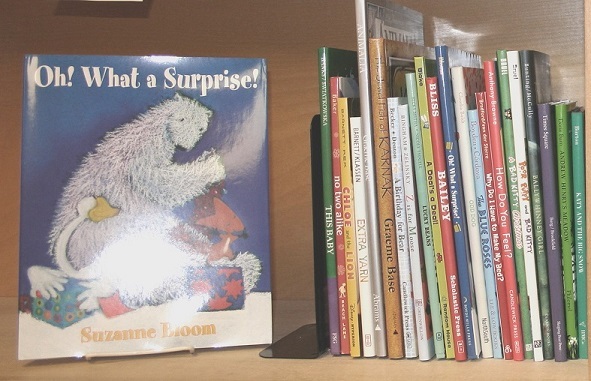 Sure, it's written for the board-book audience, but this "older kid" had fun exploring the pages! Check out these cool bug hotels! Insects are the most diverse, widespread, and fascinating animals on planet Earth, writes entomologist Bill Lamp, in the foreward. So it stands to reason that we should get to know them. Every spread focuses on some incredible aspect of the insect world: life cycles, stingers, migration, conservation. Want to know more about butterflies? Pages 78-79 contain 50 fluttering facts about them. Information is presented in fact-boxes, with photos interspersed, making this a perfect browse for waiting for an appointment or riding in the car. I can only imagine the kinds of trivia contests it might engender! I love your choices. 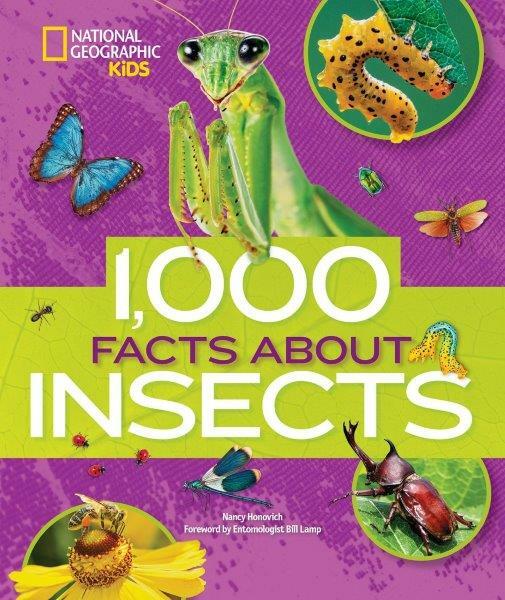 I will have to pick up the NatGeo book on insects. It looks terrific. Thanks for the post. Wednesday Explorers Club ~ butterfly tongues!